With regular use of the iGrow®, individuals can expect to see gradual hair growth within a 16- to 24-week period. It's been clinically proven that most men prone to genetic-based hair thinning and loss may benefit from Low-Level Light Therapy (LLLT). It's an innovative, amazing technology that can grow hair. Clinical data suggests that the majority of women and men suffering with thinning hair or hair loss (female or male pattern baldness, also known as genetic or hereditary hair loss) would see some benefit from LLLT. LLLT is an efficient and effective technology that prevents the loss of hair whilst stimulating hair follicles to encourage new growth, re-growing your hair. Simply apply the iGrow helmet to your head for under half an hour, every 2nd day, and within three to four months (8 to 12 weeks) you will see a noticeable decrease in hair loss. Clinical trials show an average increased hair count of 35-37% after just 16 weeks of treatment with the iGrow. All trial participants achieved noticeable results, although individual results vary. For the very best results, it’s recommended that you continue treatment for at least six consecutive months. Once treatment is complete, a maintenance schedule of one treatment per week will maintain your normal hair replacement cycle with your hair strong, thick and full. Always use mild, pH balanced, shampoos that are free from SLS and Parabens, like the ones from Segals Solutions. Followup with an appropriate Conditioner. 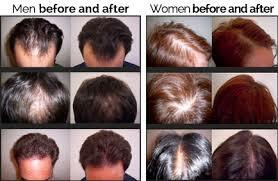 Hair thinning and hair loss have been known to lead to high levels of stress, low self-esteem and even depression. Consequently, those emotionally affected by the loss of their hair can experience problems with relationships, work and the way they lead their day to day lives. Hair loss may be common but it is still a very real problem for many – and is a condition that the vast majority of us would choose to avoid. 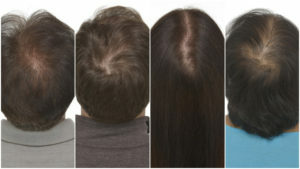 iGrow has been developed to encourage you to feel confident again by helping you to restore your hair back to its best.